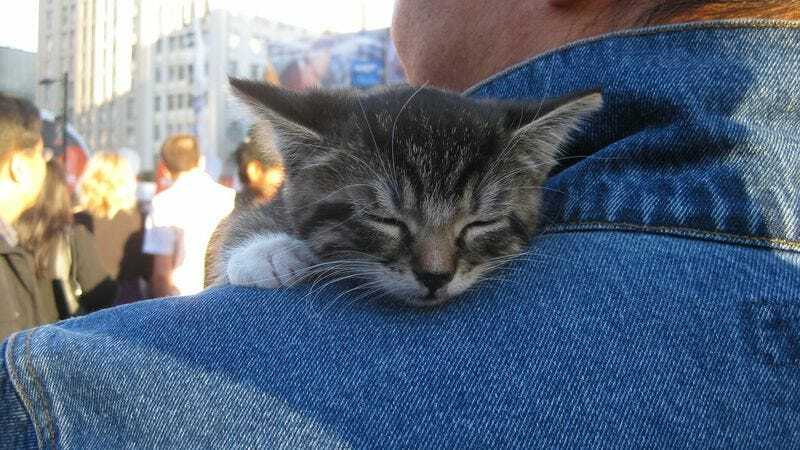 The Hallmark Channel has purred its intentions to launch a three-hour-long Kitten Bowl in 2014. The super adorable and tiny sports event will run opposite Animal Planet’s Puppy Bowl and will also include a cat agility contest during which teeny, tiny baby kitties will stumble and tumble their way through an obstacle course, spurred on only by shiny, scary things like laser pointers and toys on strings. There’s no purr yet on whether or not it will have a puppy halftime show, hedgehog cheerleaders, or a sassy referee. As with the Puppy Bowl, all contenders will be rescued from animal shelters and will be available for adoption. It will be produced in part by the American Humane Association.